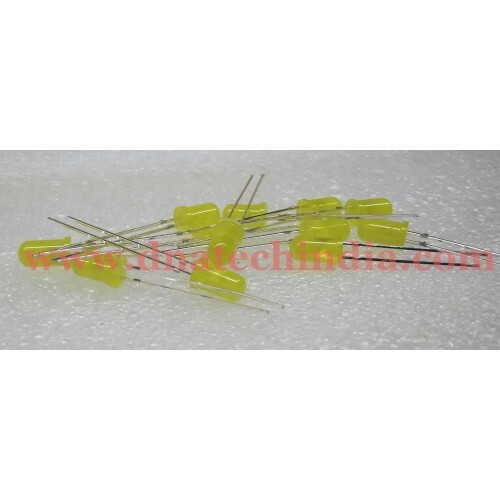 Purchase 3mm Yellow LED online in India from DNA Technology at low price. This is a 3mm Yellow LED. Light Emitting Diodes (LED) are the blinky things in your circuit. Its a must for indicating power in your project or as warning indicator or a status indicator. We use LED's for things like Power indication, relay status, to check if RF data has been received or not, warning status etc. It is a perfect low cost solution for indication and debugging purpose. 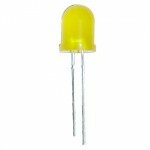 10MM LED YELLOW ColorTired of using small led's as indicators? Try out these 10 mm led's in your nex..